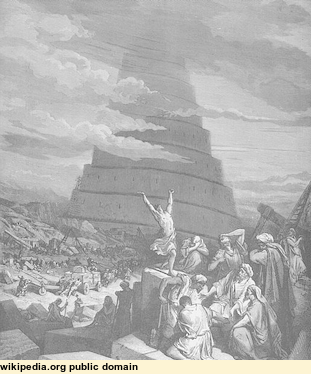 I set out to tell you about the Tower of Babel, and what it can teach us. However, in a time when there is so much confusion about the early chapters of Genesis, where the story is found, I think it wise to say something about the truthfulness of this whole section of the Bible. There is no final conflict between the actual words of the Bible and the findings of good science. In the one book, the Bible, God reveals Himself in Words. In His other book, the Cosmos, He reveals Himself in His Works. How then could these two ever be in real conflict? Why then are there conflicts? I think the answer is that there is a lot of poor bible-study and a lot of poor science. We must read what the Bible actually says, and not read into it our own ideas. It must shape our ideas. Likewise in science we must read what the Cosmos says in its facts. We must not read into it our own theories. Good bible-study and good science are both ready to abandon a theory if it does not match up to the facts. Perhaps the greatest conflict zone is the first 11 chapters of the (BTW, the chapters are later conveniences added by editors, and have no meaning as such). This is the part that begins with the creation and ends with the birth of Abraham. The battle cries are "Its all literal!" on one side, and "Its myth and legend!" on the other. Most accept that we have true history from Abraham onwards. Either it is true that Someone created the cosmos, including mankind, or it just happened. If God made all, then there is a true foundation for meaning, grounded in the character of God. If we just happened, if we are just cosmic accidents, the result of the random collisions of atoms, then we have no foundation for any of the things we all cherish - love, beauty, right and justice. These are all just chemistry in action. We know nothing about why we are here, why man is man, and why we ought to behave in any acceptable way. We have no basis for saying that even paedophilia is evil behaviour. What is is, and might is right! Even eastern Pantheism (ie, "the cosmos is God, so you are also God") cannot help, for one man's "god-ness" is shown in cruelty and another's in charity, and who is to say that one is evil and the other good? Matt. 19:4.. "Have you not read that He who created them from the beginning made them male and female, and said 'Therefore a man shall leave his father and mother and hold fast to his wife, and they shall become one flesh'?" Luke 3:38, in the genealogy of Christ, we have "who was the son of Enos, who was the son of Seth, who was the son of Adam, who was the son of God." This makes no sense of Adam was not a living man, if he was just a convenient myth. Paul to the Corinthian Christians, 15:21 "For since by man came death, by man came also the resurrection of the dead." Bible genealogies are not complete (true, yes, exhaustive, no). 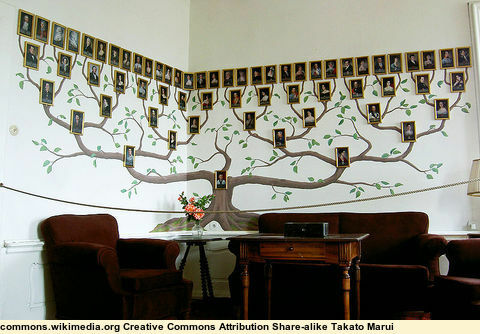 We moderns, if we build family trees at all, want every last aunt, uncle, and 2nd cousin thrice removed, included. Completeness is what matters. Not so for the ancients. 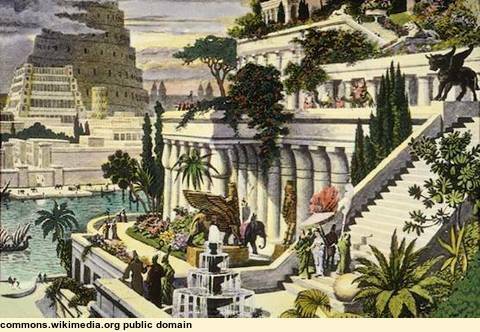 They were not concerned with completeness, but with ancestral lines - who is in which tribe, who can serve as a priest (being descended from Aaron, Moses' brother and God's first appointed High Priest), or in some other special role? We tend to read our ideas back into these ancient records, forgetting that they were only interested in the key persons. Telescoping the genealogies was normal, and was thoroughly truthful when we realise that in Hebrew there were no words for grandfather nor grandson. The same words for father (ab) and son (ben) were used for all these. The most pointed example is Matt. 1:1 "The book of the genealogy of Jesus Christ, the son of David, the son of Abraham." It cannot be complete, yet it is true 'Jesus descended from David, who descended from Abraham', though there were about 1000 years between David and Jesus. Matthew immediately goes on to give us a fuller genealogy of 42 generations, but it is not complete either, for Luke gives us 56 for the same period. Luke also gives us, in the section from Adam to Abraham, one more name than Moses gives us in Gen. 5. We cannot use these genealogies to count back to Creation happening at 4004 BC, (6000 years ago) as Bishop Ussher did in 1650. That is not what they were meant for. This does not mean millions of years since the Creation, but it could easily be 60,000 rather than 6,000. Just as poor assumptions (e.g. genealogies are all complete) can lead us to mistakes in understanding the bible, so they can lead us to mistakes in understanding the cosmos. One huge assumption is that of "Uniformity" - a foundation principle of much modern science when it deals with the distant past, and an assumption that simply cannot be verified. "Change has always gone one at the same pace as it does now"
Dating methods - assumes rocks and bones all had the same amounts of radioactive trace elements as we find today in new rocks and bones (and that the rates of radioactive decay were always what they are now). We simply do not know! 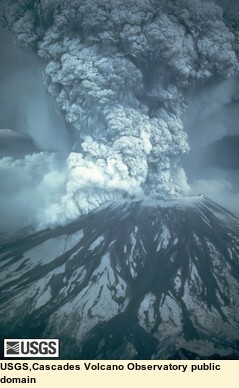 Assumes catastrophes don't happen (they are obviously changes that take place very fast). 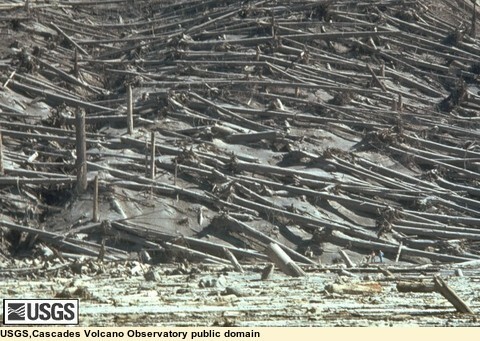 Yet we see gigantic cataclysms around us - Tsunami, earthquakes, volcanic eruptions such as Mt St Helens in 1980. 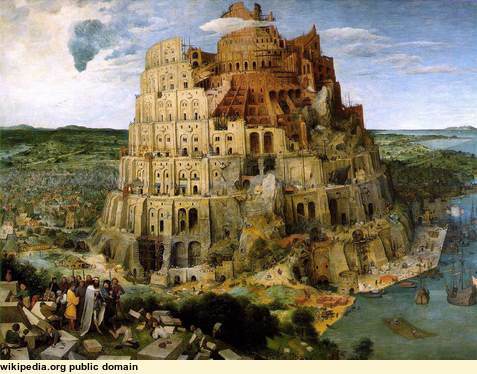 V7,8 God acts, stops the work & scatters them, by confusing their language - this is the origin of our world's many languages. What does this teach us about Man? Man is Great -(made in God's image therefore must be; "what is man that you are mindful of him..." Ps 8:4,5) v6 - "now nothing they propose to do will be withheld them" - our generation shows this. 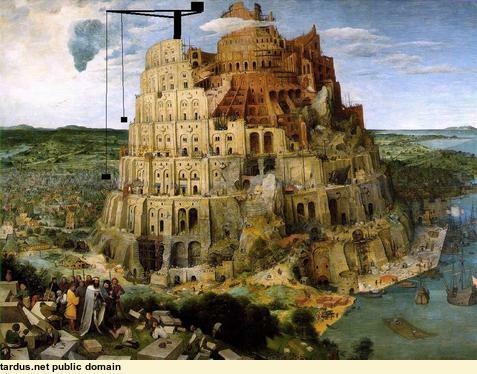 (with apologies to Pieter Bruegel the Elder; fact is we have no idea what technology they had - it is an illustration of our own modern pride that we think the ancients must have been primitive, despite the stupendous works they have left behind. 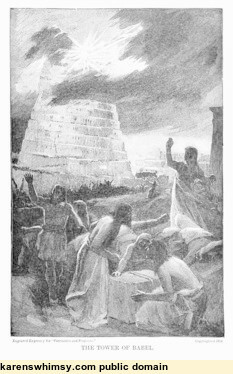 Pyramids, and the Mayan calendar. "But we're not all like that!" - yes - Adam's choice "You will be like God" & likeness. Child's tantrum same spirit as Hitler (by grace restrained). "He's a good boy at heart" - no, he's not, his heart is tainted, as we all are, with evil. Rom 3:10, 18 (there is no fear of God before their eyes"). Not just a loose thread on the fabric of life, but woven all through it. Origin - Lucifer (Isa 14:12-14) - "you are of your father the Devil" John 8:44; "I will be my own centre, independent of God" - PRIDE IS AT THE ROOT. Man Ends up Scattered Anyway, & in Confusion - inevitable if you act as if you are independent of God, who is your only proper centre. We only have meaning (hence peace, hope, joy, rest) as far as we are rightly related to Him. Man Ends Up without a Name - Isa 14:20 "the brood of evil-doers shall never be named" - no name remembered except Nimrod's. In wisdom & mercy He just scatters their language, and thus themselves. God Saves Sinners - He acted then in mercy. Thanks be to His name, for He still acts in mercy. The real Ark's door is still open ("I am the Door"). There is a Name free to all ("Nor is there salvation in any other, for there is no other name under heaven given among men by which we must be saved" Acts 4:12).